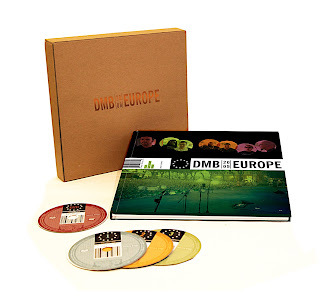 Discussions Magazine Music Blog: DAVE MATTHEWS BAND/Europe 2009 Box set! Available 12/21/2009! DAVE MATTHEWS BAND/Europe 2009 Box set! Available 12/21/2009! Europe 2009 includes an exclusive C. Taylor Crothers photo book chronicling the entire Dave Matthews Band 2009 tour. The Europe 2009 release is the ultimate Big Whiskey and the GrooGrux King companion and comes in a sleeve with room to hold a Big Whiskey Super Deluxe edition.